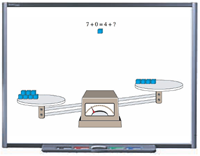 Interactive whiteboards (IWB) are fast becoming a staple digital content delivery system throughout the nation. As more publishers jump into the marketplace, Saferock helps them repurpose and extend their content into the new digital media; extending the reach of their valuable content into the digital domain. We will test and make sure that your new IWB-targeted content works on all platforms including those from SMART, Promethean, and other whiteboards providers. We are members of both the SMART Ecosystem and Promethean’s Planet online store environments, and can prepare your content for distribution there. We are certified with Apple’s online store for iPad apps, and can arrange for your content distribution. We are excited about our partnerships with SMART and Promethean, and our software development capabilities complement this. Saferock has worked on whiteboard projects that have sought to enhance publishers' visibility by employing a variety of strategies. We can do this with the experience of our own software development group. This in-house competency allows us to develop the software that is required to make your content come alive on digital platforms. We have been developing content, assessments and software for publishers for ten years and we understand your needs and your business.